You Might Be Pleased To Know, You’re Not The Only One With Back Pain! It is estimated that approximately 1 in 5 of us WON’T get back pain. This means that there is an 80% likelihood of you getting back pain at some point in your life. Back pain is a huge cause of disability nowadays, and costs individuals and companies alike 100’s of millions of £’s every year. But don’t worry! We wrote this to help you & help relieve, prevent and reduce your back pain. Below are some of the topics we cover, so chose the parts that are most helpful for you! There are lots of different things that can trigger back pain but here are just a few and how to help fix them! Specifically, bad posture, puts stress on the body, slouching with a forward head posture is probably one of the biggest contributors to that really “insidious” back pain. You’ll know it if you’ve had it, the type of back pain that comes on really slowly that you really can’t pinpoint when it started or what caused it. Because most of you reading this will spend considerable amounts at a desk or sat down (don’t forget commuting counts too) you rack up a considerable mileage on your bottom! Sitting-down loads discs in the lower back by about 20% more than when standing. This is then made worse by a significant forward head carriage and rounding of your shoulders. The spine is like a long stick, and as long as the top of the stick is over the bottom, all is well and as it should be. Unfortunately the further forward the top, relative to the bottom, the more pressure builds. So spending the time standing (which is supposed to be better for your back) turns into an activity that causes more problems. Thus, over the course of a day, your poor back is trapped between a terrible seated posture and an awful standing one. Over time this adds up and starts to lead to more ingrained lower back pain and eventually arthritic damage. Poor lifting technique results in back pain sooner or later. It is normally because some element of disc damage has been done. This can be due to either one really heavy load to traumatize your back or a series of repetitive small loads. 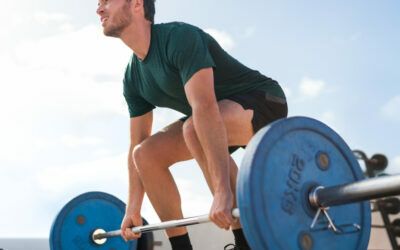 Repeated lifting done poorly can have a cumulative effect, adding up and resulting in damage and back pain. Lifting badly basically means that you aren’t engaging your core muscles and bending your knees to lift something. Instead, your round your spine and twist from the hips, rather than moving your feet. In other words, “Lazy Lifting”. This bad approach to lifting compresses the discs in your lower back and can cause them to rupture or tear. Twisting whilst lifting, dramatically increases the risk of damage to your lower back discs because of the anatomical arrangement of fibers of the disc. The two triggers above are the main ones, and this is really a consequence of modern living and the stress it places on your body. Quite often people whose parents & grandparents lived in a time of real “heavy duty” manual labor don’t always see an 8-hour shift behind a desk as being a problem. It Is. The next few are much less common and will be accompanied by things like fever, possible nausea, and other abnormal symptoms, sometimes. Kidney problems (like stones) – normally slightly higher than the “lower back” and very much on the side of the back. Uterus/Gynaecological problems (like fibroids) – having seen some rather large fibroids in my time on X-Rays, these often go unnoticed for quite some time! First and foremost, there is only one way in which you “strain a muscle” that might be the “cause” of your back pain. And that is in the event that you maximally stress it through sheer loading and tear the muscle. This will always cause significant bruising that is visible. If you are ever diagnosed with a lower back muscle problem “it’s just a muscle spasm” that is a SYMPTOM and not the cause of your back pain. Making this distinction is vital. I’ve seen literally thousands of patients in the last couple of years most of whom have had back pain as a primary or secondary complaint. A “muscle spasm” has NEVER been the cause of any of those patients pain. It is worth stressing the point as seeing patients being wrongly diagnosed as having muscular back pain for sometimes years is what leaves them with a problem of significantly greater magnitude. It is a personal frustration for me as it is the cause of such frustration and pain for patients before they see me and quite simply can be avoided. It is never a muscle, but muscles do react and “tighten up” or go “into spasm” if you have any of the following conditions – so pay attention. This condition affects the discs between the vertebra in your spine. It can affect any of the joints in the spine from the top of the spine in the neck, to the very last joint in your lower back. Spondylosis and Degenerative Disc Disease (DDD) most commonly affect the lower back, in particular, the L5/S1 Disc. In my experience spondylosis can be present in association with other issues. For example, I’ve commonly found reductions in the normal curve of the lower back (lordosis) and forward head posture associated with this condition. Essentially it is wear and tear, which your GP will probably tell you. However, research clearly shows that certain postural problems, such as a hyper lordosis, increased sacral base slope and forward head carriage all drastically increase the forces and pressure the L5/S1 disc is under. This is what cases ACCELERATED wear and tear which can be helped, and if factors are present within your spine that are speeding up the degeneration, a responsible practitioner should seek to address these with you, not dismiss you as being old or a lost cause. Usually occurring in association with the above condition (spondylosis), Stenosis means narrowing of a hole. In this case, a hole that a nerve root or spinal cord runs through. This is more or less always caused by degenerative changes, however, other more severe causes of stenosis can be cancers and fractures. One of the problems of stenosis us that it will give you a greater risk of inflammation building up around your spine causing you pain. Inflammation and swelling take up space and put pressure (physical and chemical) on the surrounding tissues which lead to a painful feeling. If the hole that they are building up in is smaller, this “symptomatic” point is reached faster. Stenosis will sometimes be treated in extreme cases by surgical intervention to open the hole and make it larger. However, treating patients to reduce the symptoms associated with stenosis can be quite often successful without the need for surgery or injections. The back pain caused by stenosis can vary from local back pain to sciatica-like symptoms that can travel part or all of the way down the leg. Muscle spasm will always play a part in this, as the muscles react to the inflammation as is their natural reflex. However, muscle spasm in conditions like this and stenosis, only serve to restrict movement, increase pressure and further accelerate the problem. This Condition can cause back pain, but given my experience, it is a condition that although, serious, may sometimes go without real symptoms. Spondylolistheses are graded 1 to 4 depending on how bad the damage is. It most commonly occurs at the L5/S1 segment (again) and is where the L5 vertebra slips forward on the Sacrum. This can be caused by a trauma, fall or car accident, or can be a slow process that occurs over time. It’s worth noting, some people are born with a slight defect in this segment which increases their vulnerability to the problem. Essentially this is a permanent condition but it can be stabilised and if your practitioner can understand why it has occurred and what factors are maintaining it as a problem, you’ll likely be able to get to a point of not having nearly as much day to day pain! Typically, when symptoms are really quite bad, surgical fusion of the spine is done to make the issue permanent, but if the “causative” factors are still in play, you often find surgery to be much less successful. 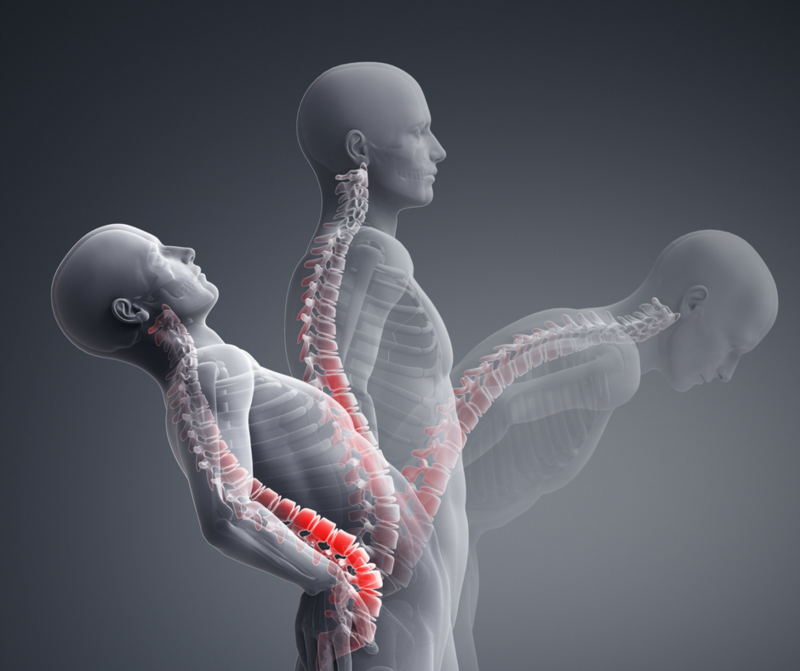 Conditions like spondylolisthesis are particularly vulnerable and sensitive to bio-mechanical changes, and it’s important that your practitioner fully understands what spinal issues you have that are contributing to the problem and making it worse. Although in my experience spondylolistheses are more difficult to treat, they are normally accompanied by some pretty significant abnormalities in the spine. When there is no trauma associated with the condition, it is usually very common to find such spinal alignment problems which can be influenced to help the patient significantly. You might be thinking, “What about all the other conditions out there?” – Trapped nerves, arthritis, slipped discs, sciatica. And you’d be right to. However, Sciatica and trapped nerves are one in the same. They both effectively are an irritation of a nerve that comes from the spine, causing pain along that nerve (to a varying degree), they are not really conditions though. They are merely a description of a collection of symptoms, which will be caused by inflammation irritating the nerve. Inflammation doesn’t occur for no reason, it will be down to the following: degenerative change (including arthritis), a damaged muscle, tendon or ligament. Of course, there are many “pathological conditions” such as prostatitis in men and fibroids in women or infections in both, that can be responsible for back pain. However, thankfully those causes of back pain, are screened for in a comprehensive case history examination in practice, and should you be suffering from those sorts of conditions swift referral is appropriate. Some Quick Self Help Tips For Your Back Pain! 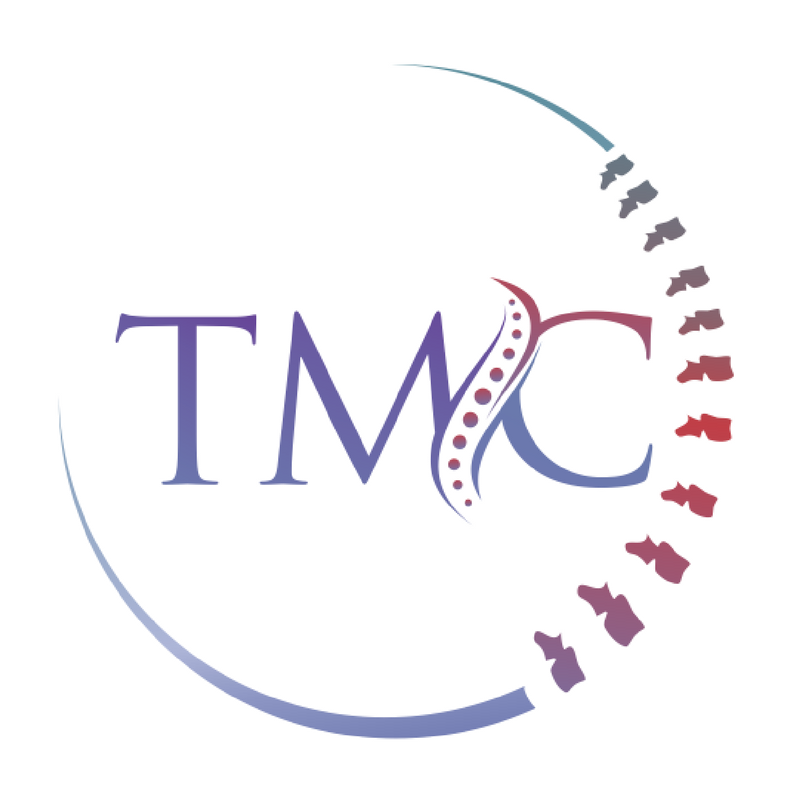 See A Professional, If you’re in London (UK) contact the clinic for gentle, safe, and effective treatment. 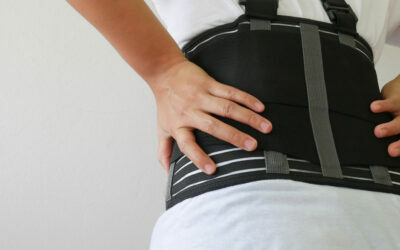 It has been proven time and time again that you are more at risk of back pain being overweight. And when you think that the main problems in the lower back are associated with too much compression causing degeneration, the weight loss part makes complete sense. It’s definitely not the only thing but losing a few pounds will definitely help prevent back pain! Stretch regularly to keep your body supple & flexible to reduce the chances of injury. Activities like yoga, without doing it to the extreme, can be very beneficial for keeping you supple and injury free! If you are worried about yoga or that it might not be best for you, some gentle stretches can be done from home to increase your lower back & hip flexibility. Be careful, stretching should be meaningful and aim to stretch tight short muscles, people sometimes get caught out stretching already “overly stretched” muscles. Beware of repetitive actions you do on a daily basis, for example always having the copier on the right of your desk at work will lead you to continually twist right. If you go through spells of being particularly busy with the copier, say 2 weeks leading up to a deadline, this can be a problem. Either move things so the task is not as repetitive, or remember not to be lazy and actually turn your whole body instead of twisting. Strengthening your core muscles is particularly important for protecting your lower back. Dynamic core exercises that work the whole core – not just the “6-pack”- is important. Remember you don’t have to be a body builder or really lean either. But patients that have good all round core stability do manage much better than those that don’t invest the time to help develop the “corset”. There are lots of supplements out there, too many to mention them all, but in short, supplements can be used in addition to a balanced diet. This helps make sure your ligaments, joints, and bones are supported with all the necessary ingredients that sometimes are lacking in a modern diet. For example, a good joint support complex, Vitamin C, Calcium and Vitamin D are just some of the supplements you can use regularly to help guard against injury and premature degeneration. Check out the health supplements section of the website for the recommended supplements HERE. Footwear is probably one of the most overlooked contributors to back pain. You can probably imagine that high heels aren’t the best for your back. But lots of shoes do not provide the necessary support for your feet. A good pair of orthotics are very inexpensive and can be inserted into many of the most stylish working shoes to great effect. Many of my patients with a longer history of back pain have very poor foot mechanics. This is a problem made worse (and partly caused by) poor shoes. Orthotics can be a very easy fix for this, if you’d like more information about orthotics contact us today by visiting the Bookings page HERE. In most cases, back pain does not require a visit to A&E however if you suffer low back pain as a consequence of trauma or you are getting any of the below symptoms, please do see a qualified medical practitioner immediately. It is worth noting that the above are very uncommon, but should always be investigated. On the whole, most cases of back pain are not a medical emergency and can respond well to treatment in a non-emergency setting. Unfortunately, we have seen a handful of these cases and we are very good at identifying them, so as a patient you can rest assured, that if you are showing any “red flags” we will take the necessary swift steps to ensure you are directed to the appropriate place. Instant Relief For Back Pain! Unfortunately there is no “instant relief” for back pain, but here are some quick tips that can really help relieve back minor back pain quickly. Apply Ice to the lower back to reduce excess inflammation (5 minutes 3x an hour). Repeat a couple of times a day. Apply heat to the lower back muscles to ease stiffness and spasm (10 minutes at a time) Repeat a couple of times a day. Gentle stretching of the gluteal & hamstring muscles (approx 2-5 minute hold per leg) Repeat a couple of times a day. In most cases booking in for a consultation and treatment is the fastest way to get relief from back pain. The longer the back pain lasts the more other areas of your body will have to struggle to compensate for the injury, which will lead to “collateral damage”. Treatment is easy and an appointment that will rarely take longer than 45 minutes to 60 minutes, will quite often avoid possible weeks of discomfort. If you’ve had a history of back pain follow these tips! What you should do, and of equal importance, what you should avoid. Forward bending is generally bad! Avoid forward bending for the first 10 -15 minutes after waking up. This includes having a shave or putting on your socks/tights. Bending forward is particularly bad for disc problems and compresses the front part of your spine. Although it will be a nice stretch, such activities like knee hugs or washing your face (whilst being bent over the sink) are best left for about 10-15 minutes. This is because they will compress any irritated or damaged discs in the lower back at a time of day they are particularly vulnerable. Instead, walk around, and do other tasks like having breakfast or your morning tea/coffee first. Although core exercises are good for most if you have a history of specifically disc related problems, be very cautious with certain core exercises. 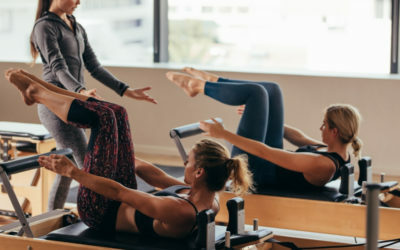 Straight leg raises and some of the more advanced rotational exercises such as windmills should be avoided, or at least done with extreme care and competence. Although more advanced exercises like that can be very powerful you MUST maintain good technique at all times and only progress to more advanced exercises when you are confident that your lower back injury is healed (typically 6 weeks or so – depending on the exact tissue injured). Our generic advice to to steer more towards loading of the abdominal muscles with a neutral spine, things such as lunges with loading on one side, or abdominal rotations with a cable system are prefered methods of integrating your core effectively and safely. Lifting abnormally heavy loads, the sort that occurs when moving house, for example, should be avoided. Although the pain in your back may have eased relatively quickly, this normally occurs before the injury is fully healed. So be mindful of lifting heavy loads if you do have recurrent low back pain. Better safe than sorry. On an equal note, a large number of men in particular normally admit that it was something very light – like a sock, that was lifted to trigger the most recent episode of back pain. Quite often you won’t engage your body as effectively when lifting a minimal weights and this normally affects the gentlemen more than the ladies. Be careful, it’s not much more effort to lift properly. Ergonomics refers to your station at work. Most HR departments in larger corporations will know how costly bad ergonomics can be for the company. This means that your HR department will likely be happy to ensure you have a good working posture to protect your spine. This is particularly important if you have a history of back pain or other spine related problems. Check with your HR staff or ask for an Ergonomic assessment. In short, you should be sat up straight with a good supportive chair, the centre of the screen should be lined up with your eyes and your knees, elbows, and hips at 90 degrees. The abdominal muscles make up a strong and stable corset that support your lower back and protect it on a day to day basis. Doing exercises like side plank and unilateral exercises that involve core stabilisation (ie. walking lunges). Other exercises like “woodchoppers” can be done in the gym using a cable machine to safely work the core. Always try to fully exhale before the “contraction phase” of the exercise to get a maximal contraction through the entire abdominal muscular system. Remember to work the back part of the core too with exercises like back extensions are equally important! Take regular breaks from sitting at the desk. Getting up and moving around frequently can do wonders for keeping the joints in not just your spine, but your whole body, lubricated well. Keeping your joints lubricated helps keep them healthy. You also avoid the degenerative changes and “creep” that occurs in ligaments. When you hold ligaments stretched i.e. in a slouched position, for 15-20 minutes, remodeling and stretching of the ligaments occur, this is not good in 95% of cases. This permanent change can easily be avoided by taking breaks at work, such as standing to take phone calls. These are so often ignored and one of the big mistakes we see time and time again, is a failure to understand spinal structure and mechanics properly! Most of the time this is an honest mistake, however it leads to advice such as… rest, exercises, injections or surgery, often fail to address the realy causes of a slipped disc. Fortunately, patients are starting to move towards the likes of osteopaths and chiropractors nowadays for an earlier intervention. However, treating merely the symptoms of the problem and not fully addressing underlying abnormalities in the structure of your spine will not get the best results possible. We find, that when patients (or their practitioners) don’t have an understanding of the patients spinal structure and the implications this has, they get reoccurring episodes. Structures in our body, like the discs have a very poor blood supply, and so unlike if we cut our skin, they heal very slowly. Nutrients are delivered more slowly, and waste products are removed at a slower rate too. Recognising that for 6-8 weeks your injury will be healing is pivotal. Make sure you do not re-injure yourself in this time frame. Your spine is designed to be aligned in a specific way. This alignment helps evenly distribute weight and force through your whole spine without certain parts taking extra loading. If you’ve got significant missalignment that is driving excessive pressure through this injured disc or tissue, healing becomes much more difficult, and re-injury more likely. A “flat back”, for example, meaning a lack of normal lordosis, is often associated with disc injuries. Understanding what exercises will be helpful and which will be unhelpful is vital if you’re to have long term success. If the rehabilitation exercises and stretches are not tailored to your spine, they could even do more harm than good! Strengthening exercises, stretches, lifestyle modification, orthotics, dietary plans. So with the right approach, you can really help a slipped disc and prevent re-occurrence. Just because there isn’t pain, doesn’t mean the problem isn’t there, and if you ignore the problem, the pain will come back in most cases sooner or later. I do find that a lot of patients nowadays seem to be much more interested in getting an MRI done than a set of X-Ray films. 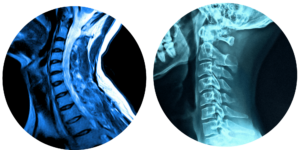 You may have thought the same, and it is true, you cannot see the discs on an X-Ray, and the MRI has incredible views of the soft tissues and inflammation. Unfortunately, MRI’s will very rarely show any information that wasn’t already suspected. It is almost used to confirm a diagnostic test. Most of the case if have colleagues that will have referred for an MRI suspecting a slipped disc (for example). A treatment plan to help the patient with this problem will be formed, and the patient referred. Then the practitioner gets the report back and yes, it is a slipped disc, and the treatment plan is changed in no way what-so-ever. Comparing this to an upright weight bearing X-Ray, I have very rarely referred for an X-Ray and not learned some extra useful information to further customize the treatment plan to the patient, and that stat is across thousands of patients (many of whom have had MRI’s prior to seeing me). This is partly because MRI’s are lying down 99.9% of the time and this does not show the true stresses that an upright existence places on your spine. Taking the previous example of the slipped disc that we spoke of earlier on MRI, there are numerous occasions where additional information has been gained from X-Rays to see why the patients have been struggling so they can benefit from an extra specific prescription of targeted rehab work.